To meet the withdrawal deadline, it is sufficient that the customer sends his/her communication concerning his/her exercise of the right of withdrawal before the withdrawal period has expired. To return the Products received, the customer may, according to his/her choice, benefit from a Product collection service at the location of his/her choice (in Germany) or return them in store. In all cases, the customer must return the delivered Products in their original packaging; they must be complete (with boxes, accessories, covers, booklets, etc.) and accompanied by the return voucher and/or return number. Products returned incomplete, damaged, deteriorated, soiled or in any other condition that would reasonably lead to the conclusion that they have been used or worn will not be refunded or exchanged and will be returned to the customer. This shall not apply to the extent, any diminished value of the products results from the handling necessary to establish the nature, characteristics and functioning of the products. It is stipulated that for orders delivered to third parties who are recipients of gifts ordered by a customer, from the Site or by telephone through Customer Service, only the customer who bought the gift may request the refund within the framework of the right of withdrawal (to the extent that only the bank account of the person who ordered the product may be re-credited). The customer must contact the Customer Service Department (29, rue des Pyramides 75001 Paris) by telephone at 00 800 0000 1952 (toll-free number for any call made from Germany) as soon as possible and, in any case, within a period allowing for the return of the Product within fourteen (14) days from the notification of the exercise of his/her right of withdrawal, in order to set an appointment (date and time slot) for the collection of said Product by GIVENCHY. If the Products can be subject to the legal right of withdrawal, the customer, exercising his/her right of withdrawal under the conditions stipulated in Article 10.1 in terms of the period and terms of returning the Products, may obtain a refund for the Products returned. 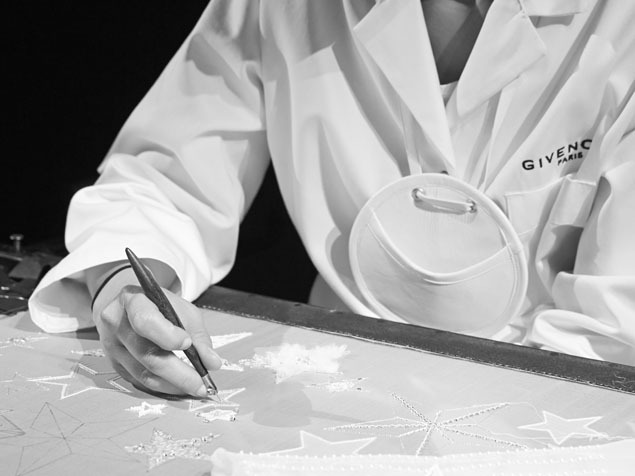 The returned Product(s) will be examined in advance by the GIVENCHY quality department. The customer will be notified of the refund, or the reasons for non-refund, and the terms of returning the Product(s) by Customer Service within 14 days from the date on which it is informed of the decision of the customer to withdraw; this reimbursement may be deferred up to 14 days after receipt of the Products by GIVENCHY. The refund of the amounts paid for the returned Products will be made, depending on the method through which the Products were paid for, by credit to the bank account corresponding to the bank card used for payment. In any event, the customer will not incur any fees as a result of such reimbursement. In-store returns are available at certain GIVENCHY stores only. The list of eligible stores can be found in the Return FAQ section. No refunds or exchanges will be made in store. The returned Product(s) will be examined in advance by the GIVENCHY quality department and the customer will be notified of the refund, or the reasons for non-refund, via e-mail or via Customer Service within 14 days from the date on which it is informed of the decision of the customer to withdraw; this reimbursement may be deferred up to 14 days after receipt of the Products by GIVENCHY. The refund of the amounts paid for the returned Products will be made, depending on the method through which the Products were paid for, by credit to the bank account corresponding to the bank card used for payment. In any event, the customer will not incur any fees as a result of such reimbursement.